Twitter is one of the biggest social media platforms, competing with the likes of Instagram and Facebook. A presence on Twitter is essential for small businesses to have, and utilise, to extend the reach of their business. Twitter currently has 330 million monthly active users, that’s a huge pool of people to reach and share your business story with. From tweeting about current affairs to creating personalised hashtags, Twitter really does have something great to offer small businesses. Having witty responses or tweets that display the personality of a business can be great. It can help with building your brand, however do make sure your tweets are in line with your business ethos. The idea is to give your Twitter profile personality, but you also need to focus on customer service and be professional, especially when dealing with complaints. 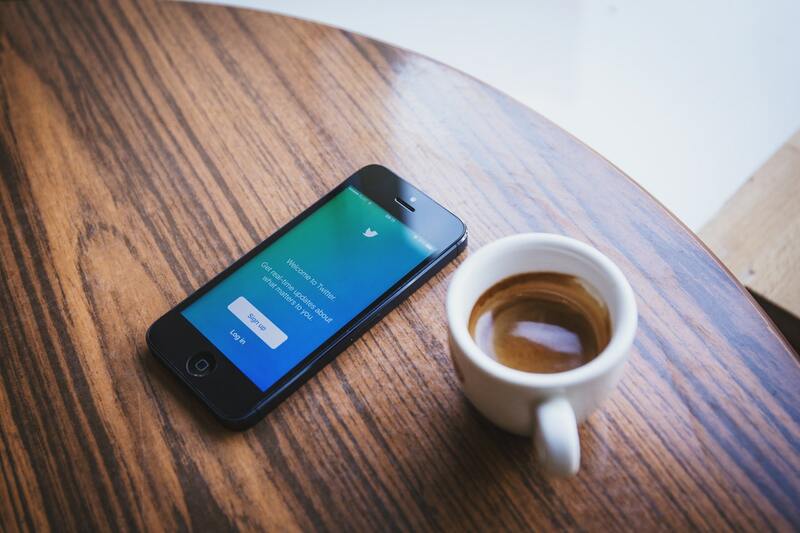 Take note from some of the best business Twitter accounts and get inspired. One of the great business accounts is Starbucks’ which has raked in 11 million followers, giving them a great platform to interact with their audience. Signing up to Twitter is very easy and quick to do. As with other social media platforms, you will need to provide a name, email address and also create a password. It is recommended that you create a dedicated business email address, and use it to set up all of your social media profiles. This will help you keep your social media organised, and if you face problems accessing your social media you will know which email address they are connected to. You will need to add a mobile number, which gives you another way of recovering forgotten passwords and adds an extra layer of security for your small business Twitter. Then you will need to create a username, but bear in mind that your business name may already be taken. For example the John Lewis Twitter username (also known as a Twitter handle) is @JohnLewisRetail because @JohnLewis was already taken. If your business name is already taken, then avoid adding numbers or symbols, perhaps add another word, for example if your business name is Peggy Bakes, then consider @PeggyBakesTweets. You should also make sure that it’s memorable as this will allow your customers to find you. Your Twitter handle is 15 characters long and is permanent, so carefully consider what you want it to be. Once you have carried out the initial signing up process, set up the profile of your page. You will need to add a profile photo as well as a header image. When selecting the pictures for your profile, make sure that they are in line with your business brand and image. More often than not these will be your business logos, or something that people will associate with your business. Some of the biggest names such as Pepsi and Apple use their logos as their profile pictures. You can also add a header image, which you could change regularly depending on any events you’re holding, new products being released or any other marketing campaigns. Ensure that you are utilising these features to make your profile attractive. You will also need create your Twitter bio, which has different fields to fill in. In the bi with a few words you should explain what your business is and what you do. A bio is your chance to give anyone visiting your profile an insight into what your business is all about, so make sure to keep it concise and to the point. There is also a location field to fill in, here you can put the town/city where you are based. It’s not mandatory, but the more details you provide, the more it helps your business to be found and recognised. Twitter gives you an opportunity to add a website to your profile. You could link to your website, blog or another social media profile. You can also add a birthday, you could add in the date of when your business started operating. Once your business Twitter page has been set up, you should start promoting it. Start off by asking your family and friends to follow you to get some initial followers. Ask them to share your Twitter account with their friends and family too, to further build upon your followers. You will also need to let your customers and clients know about your social media, and start following other relevant businesses and people in order to increase your own follower base. For example if you are a beauty salon owner, you could start following all the brands and suppliers that you use in your salon. You should also promote your social media on different parts of your business, for example by adding a Twitter widget to your website. Also add your social media names on any leaflets or business cards that you may use, actively promoting your presence to ensure that your social media is being built up. Like all other social media platforms, consistency is key — you will need to make sure that you are regularly devoting time to keeping your social media updated. Social media in general can be time consuming, therefore you will need to either make time for it, or delegate. The content on Twitter is different to other social media as you are limited to 240 characters. However this is an improvement form the previous 140 limit, so you need to keep it concise and to the point. The great thing about having a business Twitter profile is that you can access the analytics. You can see which tweets are most popular, and which ones have been seen and interacted with the most. This is a great insight to have because then you can shape your content around it. Keep it short and concise and get to the point. Tweet links to any blog posts that you have written or are featured in. Add visuals to your tweets. Pictures and videos are always going to grab the attention of your followers. Make sure to use relevant hashtags, this is the best way to reach the right people. Ask questions and run polls on your account. This is great way of engaging with your audience and gives them a chance to interact with you. Make sure to retweet relevant tweets, and aim to create retweet-able tweets that can help your Twitter get more exposure. More on Social Media and Small Business Marketing.